I downloaded and installed one of the monthly Windows 10 Cumulative Updates. After the installation, I tried to use CCleaner to remove the 2.87 GB download but could not do it. I was forced to use Micrtosoft's Windows 10 Disk Clean to perform the cleanup. Is this because I have the free version of CCleaner on my computer? Does the PRO version perform this function? The reason I ask is that How-To-Geek had an article in their newsletter today that Microsoft is planning on removing Disk Cleanup from Windows 10 and I wondered what I could use should that occur, to remove the residual Windows 10 Update download files. I've read the opposite, that MS is improving the inbuilt disk cleanup program. whether they stay with the old command prompt version of cleanmgr or the new Win10 Storage Sense I'm not sure of but either way, they are making it better. for me setting up cleanmgr /sageset:1 with all options ticked except the windows.old settings and a cleanmgr /sageset:666 with only windows.old settings ticked does all the cleaning I require. I run my browser in private mode so no need to clear any of those catergories. I also have a batch file to access any areas not covered by cleanmgr but they are more 'user' areas than system folders. PS: just read the article... interesting. watch this space I guess. As I mentioned in my post, I received an email newsletter from How-To-Geek and their stance was that Microsoft is phasing out Disk Clean in favor of Windows 10 Storage Sense. I am unfamiliar with the terms cleanmgr/sageset:1 or cleanmgr/sageset:666. Is that some kind of Windows 10 program or is that a program that you downloaded from some website? I don't know which version of CCleaner you are using, but the latest versions will not even attempt to clear Windows 10 Update files. With older Windows versions this could be done, but with Windows 10 it is not a good idea to try. At best it will cause Windows to download/install the update again, at worst it will cause your Windows 10 to fail to boot altogether. Current versions of CCleaner do not have this option. Thank you Nukecad for your reply. I have always used Disk Cleanup to remove the downloaded Windows 10 Update files by clicking on Clean up system files after the update has been installed and have never had a problem. In the case of a monthly cumulative Windows update, the download files can be quite large - today's update was 2.8+ GB disk space. I really don't have to concern myself too much with removing downloaded Windows 10 updates because I have a 1 Terrabyte drive and am not using that much of it. It's just a habit that I repeat whenever there are residual Windows 10 update files. 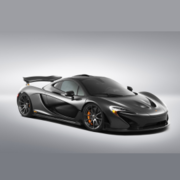 I am using the free version of CCleaner, v5.46.6652. cleanmgr is the inbuilt Microsoft disk cleanup program that has shipped with Windows since day one. it has some switches that can extend its cleaning capabilities. that brings up a box where you can tick the categories you want it to clean, usually you would tick them all. Thank you for your reply Hazelnut. I'm not sure what you mean by the term, "deprecated." Does that mean that Microsoft;s former Disk Cleanup function is gradually being replaced by Storage Sense in the future even though you say that is being retained for compatibility reasons? 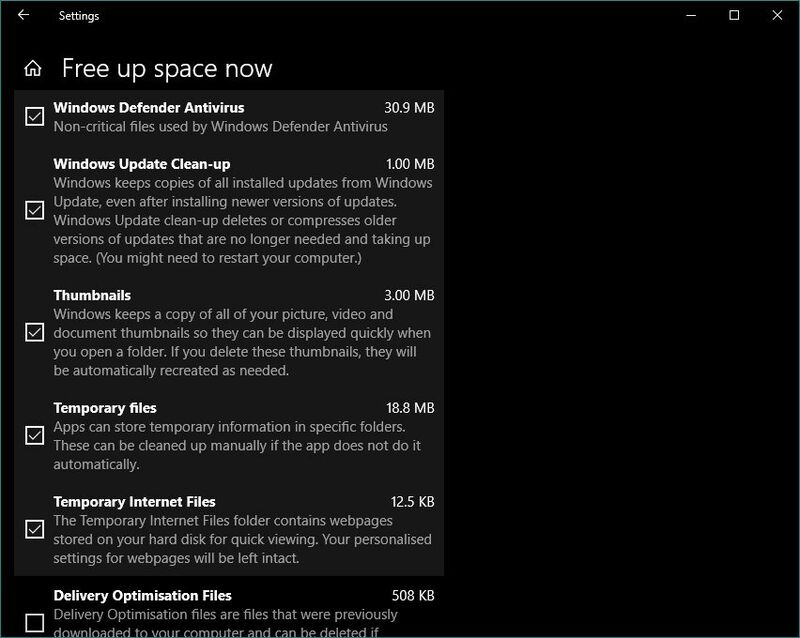 You mention that Storage Sense's functionality is a superset of what the legacy Disk Cleanup provides but unless I'm mistaken, I don't think that Storage Sense removes downloaded Windows 10 update files like Disk Cleanup does. Running Storage Sense manually will remove old Delivery optimisation files, and old Windows 10 update files if there are any. If you select 'free up space now' it scans for files to be removed and lists the catagories and size to be removed. Some catagories will be pre-selected by default, others like the update files you have to select yourself. The big difference between Storage Sense and Disk Clean-up is that SS can be easily scheduled to clean in the background. Select 'Change how we free up space automtically' for the scheduling options. Be careful when looking up Storage Sense articles online, like much of Windows 10 it's changing all the time. Again, thank you for the post, Nukecad. When I run Storage Sense manually, I am not convinced that it removes old Windows 10 Update files from my hard drive. The only way I have been able to remove old Windows 10 Update files manually is to call up Disk Cleanup and click on Clean System Files and the size of the Windows 10 Update files appears after Disk Cleanup completes its analysis of residual files. In the case of a monthly Windows 10 Cumulative Updates, the Update file is between 2 and 3 GB in size and it takes Disk Cleanup many, many minutes to remove the files from my hard drive. Even though I would think it to be a temporary Windows file, I am still not convinced that Storage Sense removes old Windows Update files. I will pay more attention next time I run Storage Sense after a Windows update. Via the Win10 UI yes. However on Win10 I made a Disk Cleanup task in Task Scheduler using /sagerun:1 to automatically clean at Log on/Startup. Note that cleaning "Windows Update Cleanup" can take a very long time to finish if there's several gigabytes worth - even on an SSD. So it isn't something I'll have ticked by default, and will only run it when the system will be turned on for several hours. It took one hour to do the clean and I have an SSD. It isn't just outright deleting all that old cache (since that wouldn't take one hour) it's obviously also compressing some of the cache as made evident by the CPU usage when it was running. I am still not convinced that Storage Sense removes old Windows Update files. I will pay more attention next time I run Storage Sense after a Windows update. Even if there are none to clean up (or they have not been there long enough, I think it's 7 days) you can still see SS scanning for them. And yes if they are there to clean then it takes a long time to remove them, same as with Disk Cleanup to remove them. That was where CCleaner won out, the speed of removal, but of course that speed (less checking?) became unsafe with Win 10 so they removed the feature from CC. TBH if you leave them alone then Windows itself will remove them in the background after 30 days, storage sense or not. Which is why after a feature update in Win 10 you only have 30 days if you want to roll back to the previous version. Thank you for the education about SS's and Windows 10's handling of downloaded Windows Update files. Are you saying with your parenthetical statement, that Windows Update files have to remain on the hard disk for at least 7 days or so before SS will remove them even given a manually initiated SS scan? One other anomaly that I encountered with SS concerns the Recycle Bin. I removed a Quicken file to the Recycle Bin. A half-hour or so later, I ran a manually initiated SS and it showed 0 Bytes in the Recycle Bin after its scan and consequently, did not empty it. What are the rules of SS concerning the Recycle Bin? 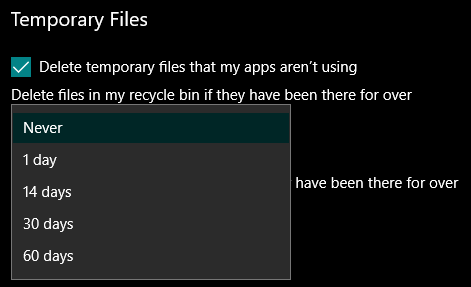 Does the contents of the Recycle Bin have to reside in the Recycle Bin for a minimum amount of time before they will be removed by a manually initiated SS operation? Well that was timely, this afternoon during my weekly clean up routine I ran WU and got an update, KB4100347. It's 1.2 MB download to patch Intel CPU microcode against Spectre (again). (You can also see that the figure for Delivery Optimisation Files has gone up since the previous screenshot, from 236 to 508 KB). So obviously from that if you runs SS manually then you do not have to wait 7 days. I'm not sure just how it works though if you have SS set to a schedule or just runnning when it thinks it needs to, which is why I put that bit in parenthises. Also from reading that I'm also not sure if will remove it, or compress it pending removal later? Of course minor updated and Patch Tuesdays don't usually craete a windows.old, but I'm pretty sure that SS also removed that after the last feature update. (We'll be able to check on that in a month or so when the September feature update to v1809 comes). With the recycle bin I'm also not sure how it works there, but there is a setting in "Change how we free up space...." to leave files in the bin alone for different periods. Of course its easy enough to empty the bin yourself at any time so I believe SS just does it with older files. Storage Sense is one of the features MS are keen on improving, so I would expect more changes/improvements with the setting options in next months September 2018 feature upgrade. Thank you for all your information about Storage Sense - it has been very educational. There's only 10 days because Win10 will remove the Windows.old folder or at least empty it. Hence the reason to always have a somewhat recent and reliable disk image. I hadn't clocked that they had reduced it to 10 days. It does make sense I suppose, if it was still 30 days then they'd be clearing it just before the next patch Tuesday. That 10 days forced me to use my computer more than I'd normally do usually I'm on it for 10-15 minutes then turn it off, but I had to dig around and make sure they didn't break anything and they did break something. The 10 days thing was what I noticed before the first botched upgrade with v1803 I had read on a forum when it screwed up my brand new laptop, didn't have to use my Macrium Reflect Image I made beforehand since the uninstall/rollback via Win10 reversed the damage. The second time it installed it maybe two or three weeks later it didn't break anything from what I've noticed. I don't like having my new laptop being a Microsoft Updates test subject. I'm sure you know that you could change your ethernet or wifi settings to tell it that your internet connection is metered, that will stop it updating. But don't forget to change it back once in a while and check fo updates when you have time or you won't get any security updates. I know about the metered thing but find that rather pointless since it will obviously miss some important security update. Now it seems mostly what it's been updating are patches for v1803 with no new feature updates. Regarding Windows.old removal, Assuming system sense is to also include the same options to do the same thing as the "old" disk cleanup. Windows.old cleaning was always handled via a separate option named something along the lines of "remove previous windows installations" (which was a dynamic option in that it only ever existed as an option when there was a windows.old to clean. also disk cleanup needed to be run as admin, or the clean system files button needed to be clicked). 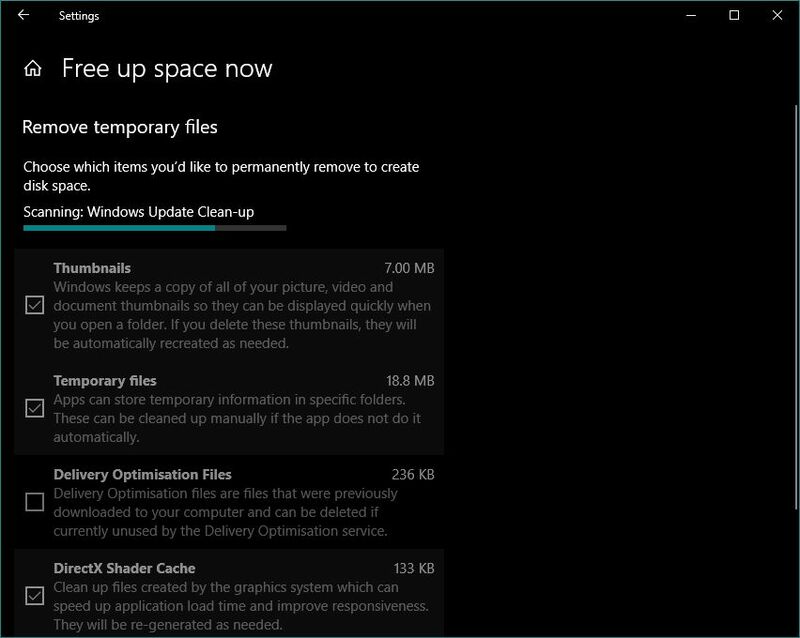 The delivery optimization & Windows Update cleanup options, were and still are always present, but didn't (and I assume won't) do anything with windows.old when the old chestnut crops up again. Also regarding the 10 days auto cleanup, you can stop it from happening, it's controlled by a task in task scheduler. I can't remember 100% which task it was, But it's relatively easy to find if you use something like Nirsofts taskscheduleview.exe which lists all tasks in a sortable listbox view (i.e sort on next run time). When it's active it will be scheduled to run in approx 10 days and it's a one off task (i.e. not monthly or weekly), and will likely be the only one that is set to run this far in the future. The problem with saying exactly which task it is, is that currently whatever task it is (I suspect "start component cleanup") isn't set to run at any future time, along with many others, and also my suspicion could be wrong, and the task itself may self delete after being run, I just remember when I did it, it seemed fairly self-evident which task would control it, and disabling that task did in fact work until I decided the update was safe, so I re-enabled the task, just in case it was needed for other cleanup stuff. Anyway just thought I'd mention it in case it's something someone might find useful and want's to investigate after the next feature update. I wouldn't recommend it over a backup, but it could be convenient keeping the rollback option around a bit longer. I do not have W10 installed currently (long story I'll spare you, its going to be installed again soon) however this may or may not help, useful for previous versions. You can have several 'sageset' / 'sagerun' sets if you wish. With W7 I tend to just have one and use the normal cleanup occasionally and rarely (say every month or two) use the sagerun:1 option on it. Also regarding the 10 days auto cleanup, you can stop it from happening, it's controlled by a task in task scheduler. I personally think they should make that a user customisable amount, perhaps the minimum being 10 and the max at perhaps 90 days. I would've liked to have had it go for longer as I was still getting used to Windows 10. Yeah I definitely agree with you there. It's not like MS is known for it's ability to fix problems caused by upgrades within 10 days, so it really shouldn't be enforcing a no backsies policy for a timeframe they also can't adhere to. Not to mention it would be somewhat trivial for them to offer a setting which effectively alters the run time of a task that is going to do the work. Especially when you consider the task that controls this functionality doesn't actually allow the trigger time itself to be altered via task scheduler, it only allows toggling whether it's disabled/enabled. I know I'm willing to put up with a problem that's introduced for around a month (assuming it's an intermittent issue, not some major always happens problem) but if it takes much longer I'd be inclined to roll back, the issue with 10 days, is sometimes the intermittent problems aren't even apparent till it's too late. Hardware related issues are rather obvious which is what I dealt with the first time it installed v1803. On the software side I wouldn't really know what it could've potentially broke since it really isn't feasible to open every possible program on a computer in that allotted time since I'd merely be running non-stop testing of the computer versus just using and enjoying it.